Plus, it has a built-in aquarium, too! And it's available locally. 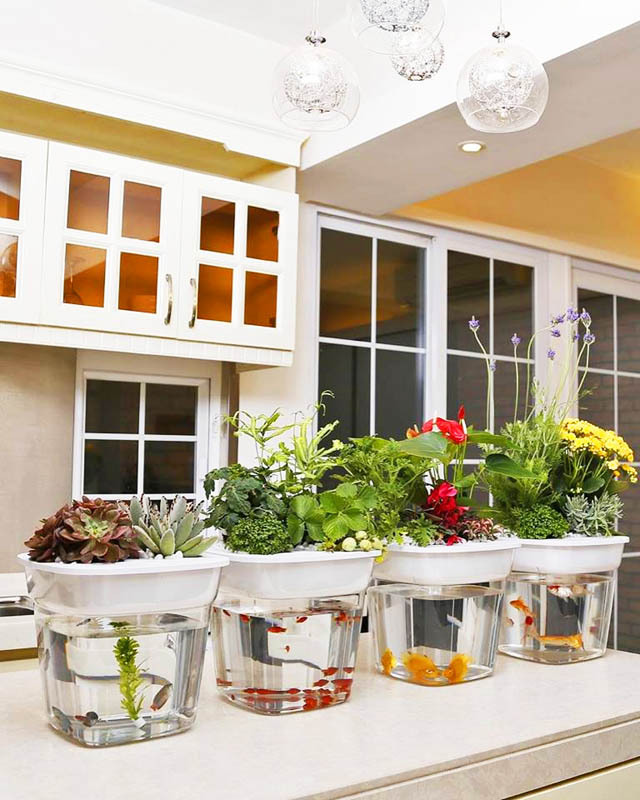 A hydroponics system—meaning, a soil-less garden system sustained by water and other natural nutrients—will allow you to grow your own vegetables or ornamental plants in the comfort of your own home. But these systems cost a cool five digits (at least), and could take up quite a lot of space, as some hydroponic systems are as big as wardrobe cabinets. It’s so small it could sit on top of a tiny side table. Unlike the cabinet-type hydroponic systems, this one measures only 12x12x12 inches, tiny enough to be perched on the smallest tabletop. This is perfect for condos. It has a built-in aquarium. Since the Potti has a water pump (it has to be plugged in 24/7), the bottom part of this aquaponics system is its aquarium, which you can fill with small fish. The recommended fish breeds are: three to four pieces of small tetra, zebra Danio, swordtail, or a single fighting fish. 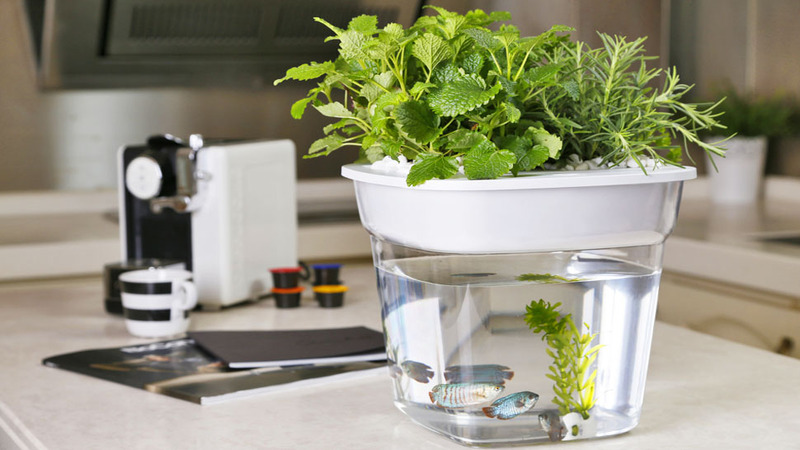 You can plant your own mini-vegetable garden in your kitchen...or anywhere else. The kit includes wheatgrass, basil, and lettuce seeds, but you can plant other small-scale ornamental or edible plants in the Potti, such as strawberries, petunia, or mums. It’s easy to use and low-maintenance. 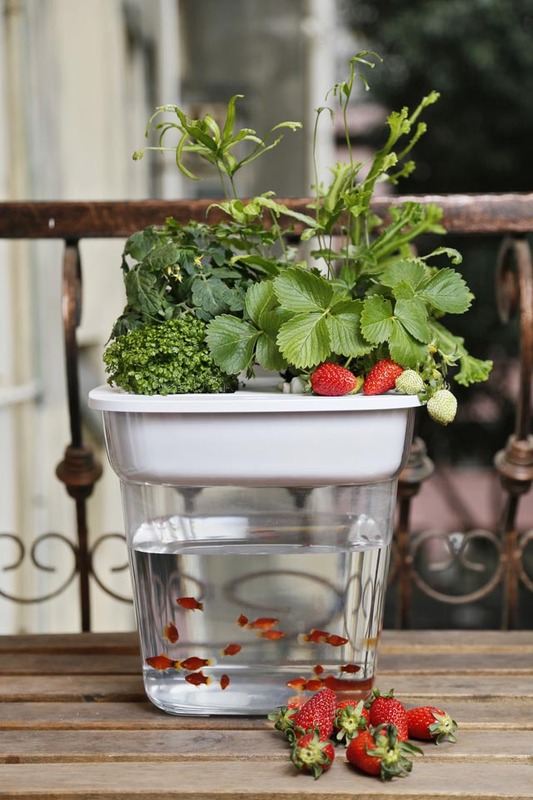 Aquaponics are meant to be soil-free and organic, so no fertilizers are needed. 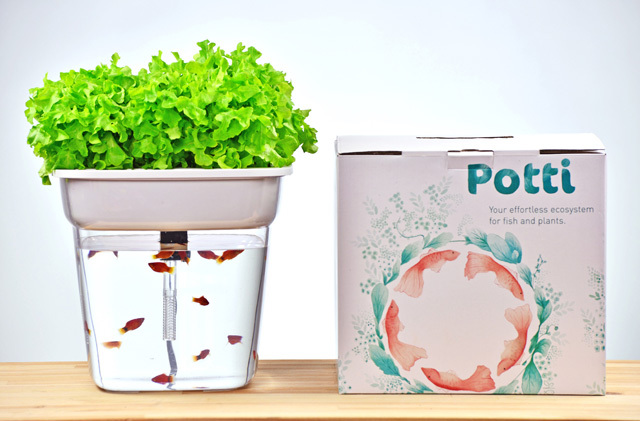 You just have to place the Potti near a window with partial sun, and feed the fish twice a week. Did we mention that it’s decorative, too? 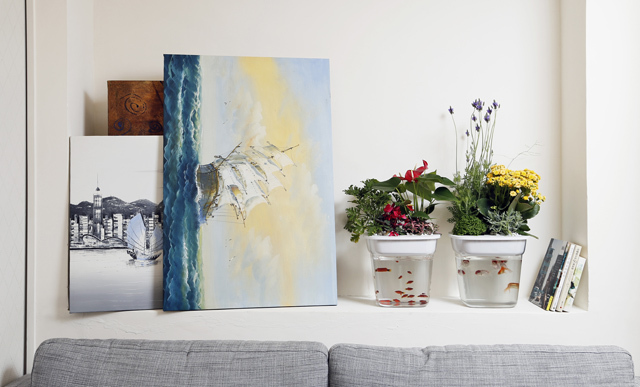 The combination of flowers and greens, with the addition of live fish, can be quite soothing! 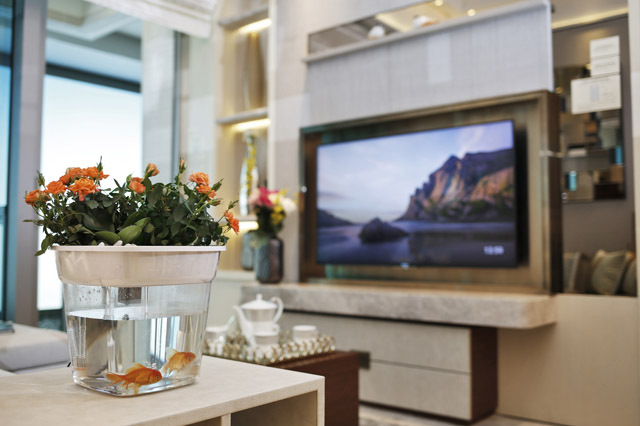 You can even perch the Potti on your console or coffee table. 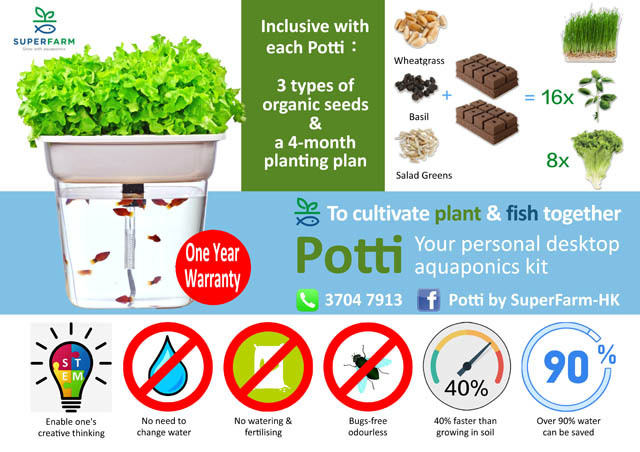 The Potti kit retails for P5,899, and comes with seeds (and you can easily purchase more at gardening stores). You can purchase Potti locally at Bright Spot Gizmos and Toys, or at Hobbes and Landes branches.